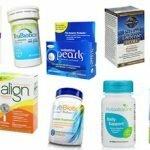 Overall, Trader Joes Acidophilus and Probiotic Complex is an average probiotic. That’s why we gave it a 2.5 out of 5 stars. It has some good qualities to it but nothing that makes it stand out. I like that it’s more natural and doesn’t use a ton of added junk like artificial colors. For instance, it uses turmeric for color instead of an artificial dye. It’s also gluten free and vegetarian, which are definite perks. This probiotic is very affordable and doesn’t need to be refrigerated. However, there are some things I don’t like about this probiotic. You have to take 2 tablets per day, which isn’t a huge deal but I definitely prefer the one and done method. It also isn’t allergy friendly because it contains milk. This probiotic isn’t very potent because it only has 2 billion cells per tablet. 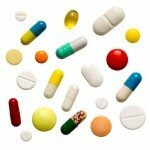 I would’ve liked to see a few more billion per tablet to make it a more effective daily probiotic. Overall, at 2.5 out of 5 stars, it’s an average probiotic that has some perks but is lacking in a few areas. 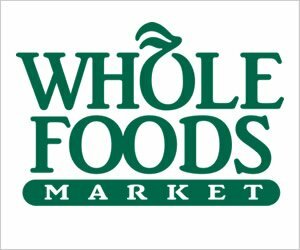 Trader Joes Acidophilus and Probiotic Complex has 2 billion cells in 4 probiotic strains. Of note, I like that Lactobacillus acidophilus is used. 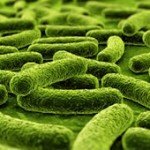 Lactobacillus acidophilus has been studied with many digestive disorders and it may help ease the symptoms of Crohn’s disease, diarrhea, Irritable Bowel Syndrome (IBS), and gut dysbiosis. It may also help fight off harmful pathogens, boost immune support, treat yeast infections, and prevent urinary tract infections. Some studies even suggest that Lactobacillus acidophilus may help with lactose intolerance and lowering cholesterol levels. Another strain I like is Lactobacillus helveticus. This strain has been studied to boost overall health by increasing the bioavailability of nutrients in foods, prevent gastrointestinal infections, removing allergens, and promote better immune responses. It may also help aid in digestion and enhance bowel motility. Trader Joes Acidophilus and Probiotic Complex definitely has an allergy concern. This probiotic supplement contains MILK. We know so many people are allergic or sensitive to milk, so this is a bummer. However, it’s gluten free and vegetarian, so those are perks. The other ingredients include: microcrystalline cellulose, hydroxypropyl methylcellulose, pectin, soda ash, silica dioxide, stearic acid (vegetable source), guar gum, and turmeric (color). For 50 tablets, lasting 25 days, it costs $11.09. Since you have to take 2 tablets daily, it works out to be $0.44 per day. That’s actually very affordable and much less than average. I think it ends up being a good value for the price. I didn’t see any side effects while taking Trader Joes Acidophilus and Probiotic Complex. I was definitely happy about this. Overall, it’s a pretty gentle probiotic. It does contain milk, though, so if you’re allergic or sensitive keep that in mind! Unfortunately, I couldn’t find any sort of money back or satisfaction guarantee for this probiotic. You might be able to return it if you buy it from online retailers such as Amazon. 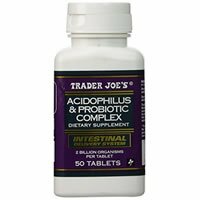 To buy Trader Joes Acidophilus and Probiotic Complex, click here.